Happy Color Snack Sunday, sweet friends! 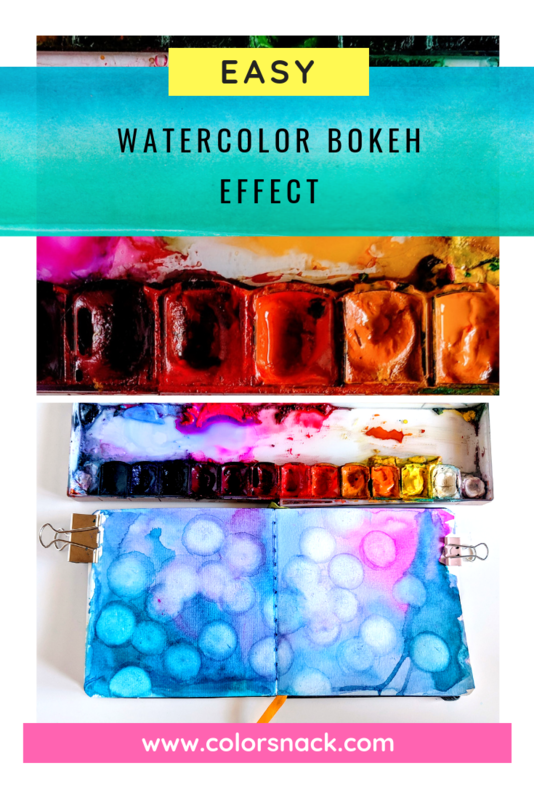 I’m super excited about today’s tutorial on creating a watercolor bokeh effect in your sketchbook! I’ve always been fascinated with bokeh ( bokeh is “the way the lens renders out-of-focus points of light”. ), it just looks so cool and so dreamy! 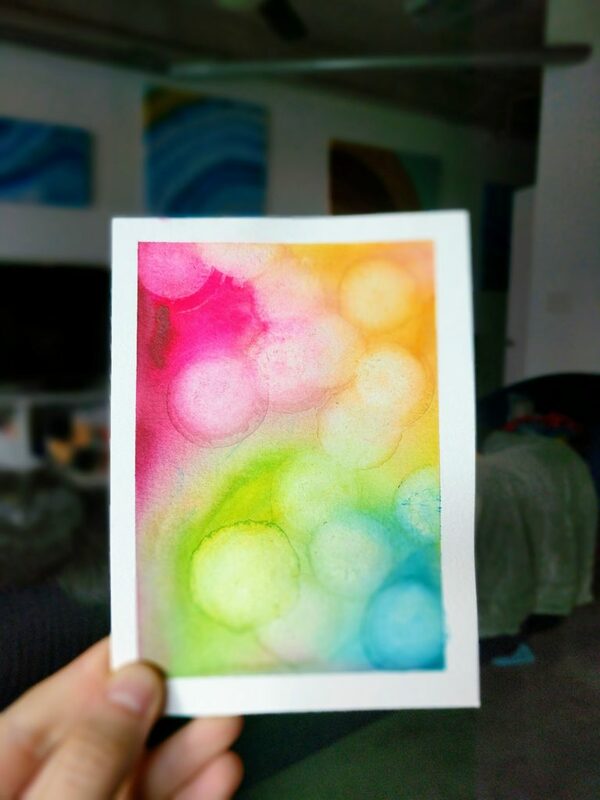 So after looking around for many different ways of how to create that watercolor bokeh effect, I came up with a super easy way of doing that doesn’t require any additional supplies. 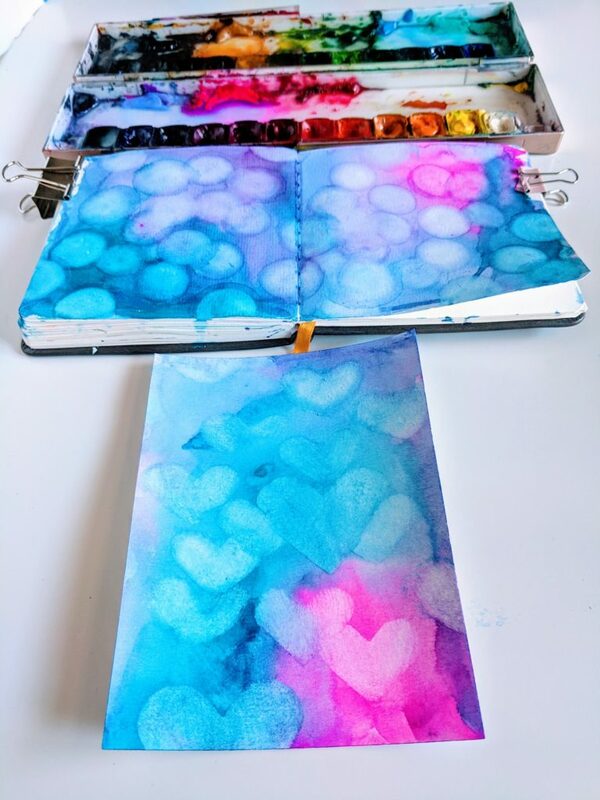 All you need is watercolors, a sketchbook, a waterbrush pen + towel and any round object or stencil you have on hand. I couldn’t help it and I ended up creating another little piece with a different color palette (spoiler: it’s super colorful). Watch the video below to see them both in action! 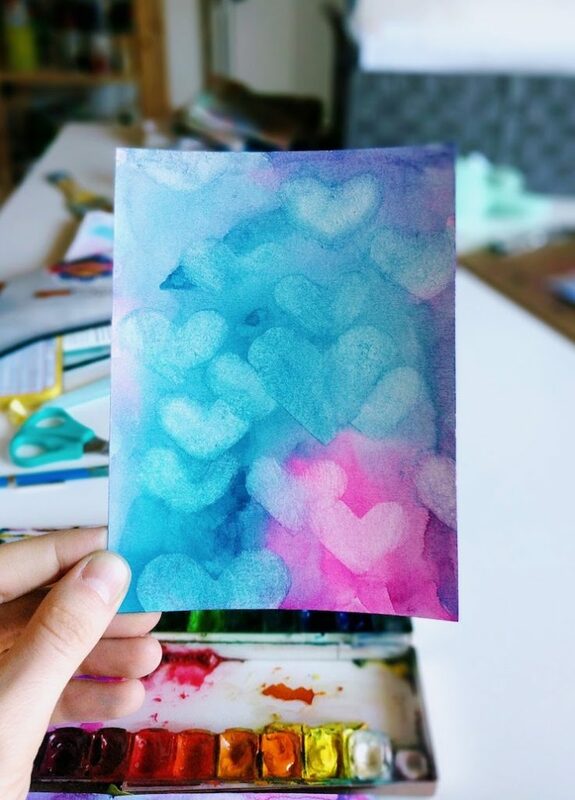 Oh and you can also apply this watercolor bokeh effect by using other shapes, like hearts or stars. The possibilities are endless! 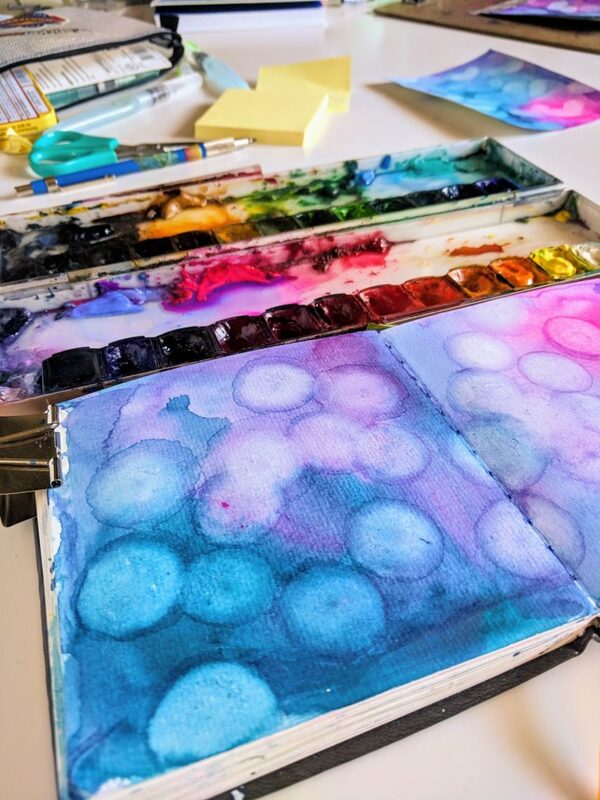 Have an art day & I can’t wait to see what you create!